Ophélie Véron is a Leverhulme Early Career Research Fellow in Geography at The University of Sheffield. A former student of the Ecole Normale Normale Supérieure in Paris and the University of Oxford, she completed her PhD in Geography at University College London in 2015 and worked as a postdoctoral fellow at the University of Leuven (Belgium) from 2016 to 2018. Her work focuses on on urban divisions, environmental and food activism, grassroots movements, anarchist spaces and vegan geographies. 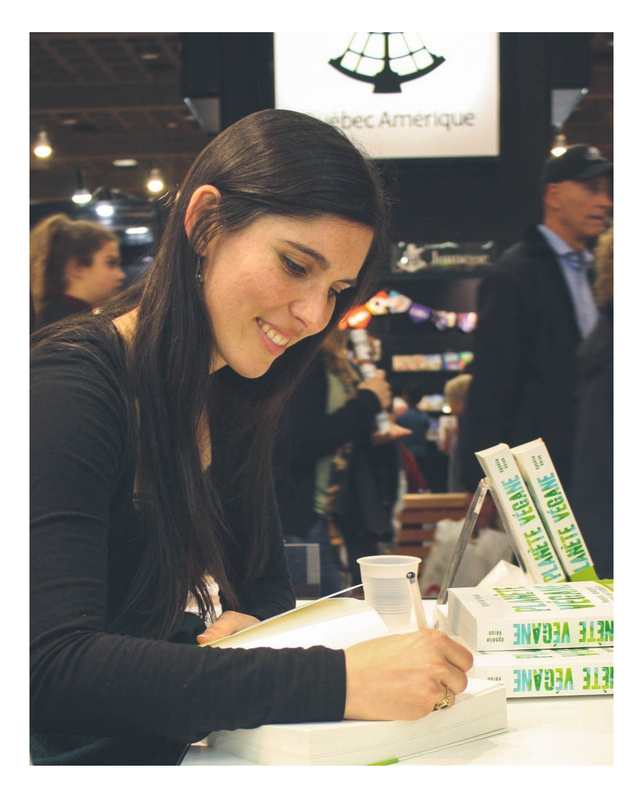 Ophélie’s commitment to sharing knowledge and increasing awareness on contemporary social and ethical issues led her to open a blog in 2012, Antigone XXI, which has quickly become one of the most popular French-speaking resources on veganism, sustainable development and ethical consumption (18 million views since its creation). Ophélie has published several books for the general public, the latest being Planète Végane. Penser, manger et agir autrement (Marabout, 486 p.), which offers a global and informed perspective on the vegan movement, based on an extensive scientific bibliography. She has given numerous presentations in academic conferences and public lectures around the world, and participated in round-tables and public debates in Belgium, France and Canada. She is also regularly invited to give interviews on TV/radio programs and newspapers (Arte, RTBF, France Inter, Le Monde, Elle, L’Obs, FémininBio, among others) and write articles for various print and web-based publications (Terra Eco, The Huffington Post, Versus, etc. ).